There are many varieties of eggplants and they come in all shapes and sizes. The most common eggplant is called black beauty. There are a number of great dishes you can make with eggplant including my favorite eggplant parmesan. If eggplant is not part of your home vegetable garden you really should consider it. They are easy to grow with a little care and a couple of plants can produce all the of the eggplant you will need for an entire growing season. 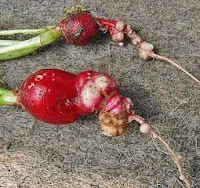 Root rot can affect just about every plant you can think of growing in your home vegetable garden. Various organisms can cause root rot but the results are basically the same. The plant will begin to wilt and look like it is about to die and the leaves begin to turn yellow. This process will speed up when the ground is extremely moist or becomes too wet. Here are some steps you can take to tackle root rot head on and potentially save your harvest. Cucumbers are a great vegetable to grow in any garden. They are excellent for salads, or to simply dip in some ranch dressing (or your favorite flavor). There are a variety of great dishes you can make with cucumbers and if you have time to learn it, the skill of "pickling" can take your cucumber even further. More importantly though, is, all of that is for naught if your vegetable garden does not produce plenty of healthy cucumbers. Here are some steps you can take to increase your chances of healthy and more abundant harvest in your home vegetable garden. Carrots are a great vegetable to grow in anyone's garden. They are easy to grow and as long as you follow the advice in this tutorial you should be able to produce great carrots every growing season. Carrots work best in a raised bed garden where the soil is very loose. This gives carrots the ability to grow deep and develop. Here is how you can grow great carrots in your vegetable garden. I think of lettuce as one of those "staple" vegetables. In other words it can be used in a variety of recipes, from salads, to sandwiches. 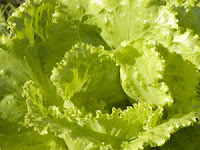 Because lettuce thrives in cooler temperatures, it is best to grow it in early spring or fall. Here are some steps you can take to improve the conditions where your lettuce will grow to optimize and increase your harvest. White flies are tiny, about the size of the tip of a pin, and a lone fly by themselves is hardly reason to panic, but thousands could be very destructive to your garden. They more readily attack cucumbers, potatoes and tomatoes, and can literally wipe out your crop if not handled properly. They usually gather on the underside of leaves of the plants and extract the sap from the plant, which could invariably kill the plant. Here is how you can get rid of white flies from your vegetable garden. Snails and slugs affect just about everything plant you can grow in your home vegetable garden. 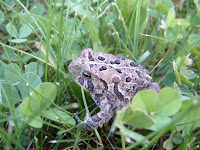 They are both slimy and to keep that moist outter texture they need a nice moist environment and that includes feeding off soft tissues of your vegetable plants. You may find a snail or slug during the day, but most likely you will find them at night eating away. They could literally eat your garden before you get a chance to do so. 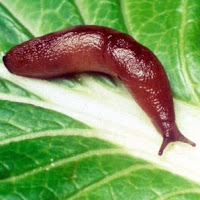 So here are some things you can do to repel slugs and snails from your home vegetable garden. Clubroot is a plant disease that affects broccoli, brussel sprouts, cabbage, kale, radish and turnips as as those plants associated with the cabbage family that are not mentioned. This disease is caused by an organism that attacks and destroys the root system of your plants. The roots will look swollen, have lumps and look wilted. If not caught early and handled properly the disease could release spores that could spread to the rest of the soil. Pests are, well, pests. They can wreak havoc on your home vegetable garden, if you are not careful and do you due dillegence in keeping them at bay. 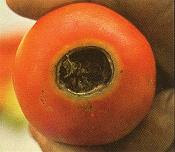 In its basic definition, blight is a fungal infection on plants, most notably tomato plants. Although there are many theories to what causes blight, the most popular are poor soil conditions that lack proper nutrients, or too much rain fall followed by humidity to create a breeding ground for fungus. If not caught and dealth with early blight can literally wipe out your crops. Here is how you can deal with blight early, and stop it in its tracks. I love to prepare the eggplant from my garden in a lasgna fashion (sometimes referred to as eggplant parm in these parts). It's easy, quick to prepare and very tasty. 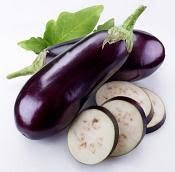 You can use different varieties of eggplant but black beauties work best for me. With a few simple ingredients and a couple of steps you could be having great tasting eggplant lasagna made from the eggplant in your garden in less than an hour. There are many benefits to growing your own garden, but to me the greatest benefits are great tasting meals that are ready in minutes and can literally go from your backyard to your dinner table all in the same day. This tomato, basil, mozzarella dish is as easy and simple as it gets to turn the tomatoes and basil from your garden, into a healthy appetizer for the entire family or friends at a dinner party. Here is how you make a simple tomato, basil and mozarella dish with ingredients coming from your garden. Pickleworms are the larvae of specific species of moths. One of their purposes is to feed on fresh younger tender fruit and vegetation. 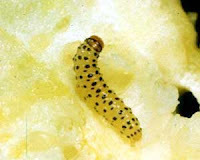 They last in the larvae (pickleworm) stage of life, for three weeks before forming a cocoon then turning into a moth. Here are steps you can take to control pickleworms. 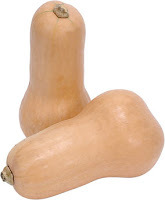 Butternut Squash are one of those vegetables, as with most squash, that are easy to grow and can yield an abundance harvest. However they aren't as common as other varieties of squash such as crookneck or zucchini types and because they have a color change, many people get confused as to when to exactly pick them. Here is how you know your butternut squash is ready to be picked. A great home vegetable garden in your backyard starts with great soil. The better the soil is the higher yield of fruit you will have as well as healthier plants. You can get your soil tested for a variety of things such as pH, nitrogen levels, phosphorous, moisture content and so forth. In this tutorial I am going to show you how to do a basic test to confirm that you have excellent soil. All it requires is some basic labor and the ability to count up to 10. You will see why in a moment. 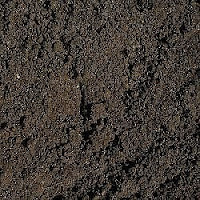 Here is how to tell if you have excellent soil in your garden. If you have a few minutes of prep time and about 50 minutes of cooking time you can make some great bread out of zucchini grown in your own garden. This is great tasting bread made right in your own kitchen. 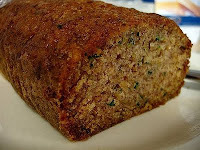 Here is how you make zucchini bread.